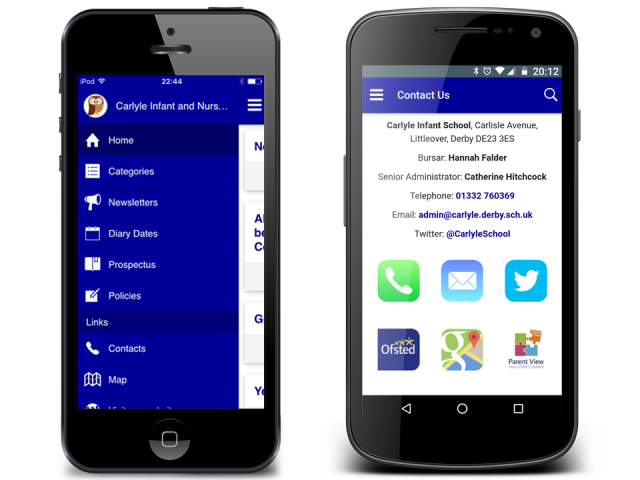 Our School App syncs directly with your School Website so you only have to manage your content from one source. Free Push notifications can be sent to alert parents and carers instantly when new content is available. Updates can also be sent automatically to Twitter, Facebook and via Email so you can engage the whole school community with ease. 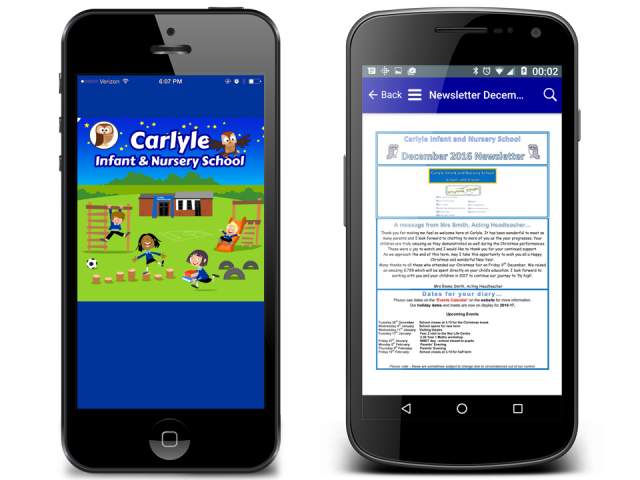 View some of the Apps we have already developed for our schools by clicking on the relevant App Store logo for your phone.